Tim Schall (Actor) is very excited to be making his debut with Max & Louie Productions in this wonderful production of Indecent. 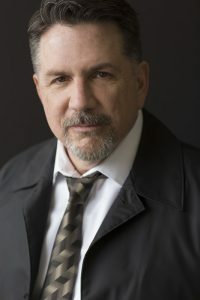 Most recently seen in Union Avenue Opera’s production of Lost In The Stars, his other area theater credits include the fully improvised Blue Velvet Lounge at The Improv Shop, The Music Man at The Muny, 3 seasons of All Is Calm at Mustard Seed Theater and The Normal Heart at HotCity Theater (St. Louis Theater Circle Award nomination). Additionally, Tim has performed with Upstream Theater, New Jewish Theater, Stages St. Louis and Variety Theater, among others. His solo cabaret shows have played at multiple venues, including The Sheldon Concert Hall where he recently performed Let’s Go To The Movies, a concert celebration of classic songs from the cinema. Max & Louie Productions enhance lives through the arts by presenting bold, premier plays and musical dramas that entertain and challenge, bringing artists and audiences together in a shared experience that illuminates life through joy, wonder, laughter and tears. We are a non-profit 501(c)3 organization, operating with your generous support. Help us maintain the high level of artistic integrity that has become synonymous with Max & Louie Productions by making a tax-deductible donation today. Subscribe to our Newsletter to keep informed of all the latest news!